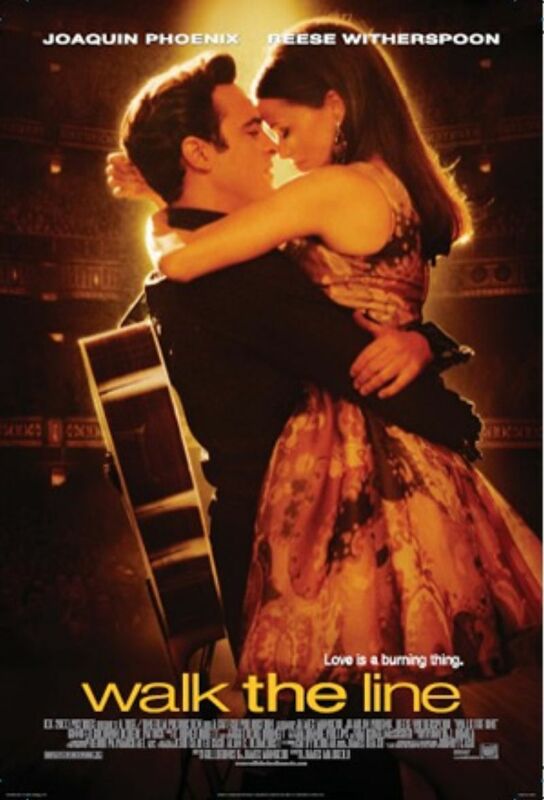 In Monday’s first post, I wrote about the movie Walk the Line (2005), while focusing on the love story between Johnny Cash and June Carter. This was an important element of the film. The unwavering commitment and grace Johnny and June had for each other can be seen as a metaphor for the love and loyalty God has toward His children. Another major theme to this movie and the life of Johnny Cash is redemption. Although Johnny rose to fame and helped revolutionize music, he struggled deeply with drug addiction and a haunting past. Like a lot of us, Johnny Cash had a troubled childhood. His family was poor and lived during the Great Depression. His older brother Jack died while he was young from a tragic accident at a sawmill. Johnny felt tremendous guilt and shame, which led him on a quest for music fame, and ultimately addiction. I think we can all identify with Johnny Cash’s struggles. I can’t tell you how many Christians struggle with guilt and shame, but I bet it’s a lot more than half of us. I know I do–I am guilty of being guilty. Some of it is for past mistakes and sins, which I know is silly because the Bible says if I repent then I know I am forgiven (1 John 1:19). I can also identify with Johnny Cash because I often feel guilty for things that are beyond my control. I suffered from verbal and physical abuse in my childhood by my father, and it took a toll. I love him, but he chose his feelings over my own. To this day he still puts some of the blame on me for not “letting it all go” and moving forward. I did forgive him, and sometimes I find myself needing to forgive him more than once. However, I must put boundaries between us for my well-being and safety. I have told him this. I have also told him how to make me feel more safe. Here’s the thing that I am slowly learning: you can’t change people. You cannot make someone get help for his/her problems or take responsibility. And you know what? We are not called to do that. We are only called to love them. I love my father very much. He is not a monster, but he has issues that prevent me from having much of a relationship with him. I pray for him everyday and have tried giving him encouragement. Of course all situations are different. I am in no way telling you what to do if you have been a victim of abuse (and if you are, please get help from a trusted professional or counselor). In fact, this post really isn’t about my issues with my father. This post is about redemption. I know that God can redeem my hurts and use them for good. In fact, the struggles and pain that I have faced have made me a better writer. And you know what? If I hadn’t gone through everything that I had gone through in my youth, then maybe I wouldn’t have found my way to Jesus. We all go through things and struggle with sins, but we can still be forgiven! God can still take our situation and redeem us from our old broken lives. Redemption isn’t always a one time thing either. The more I read about Johnny Cash, the more I see how he had to go to rehab many times in his life for his addiction. He chose to let God work in him. I’m also choosing to let God work in my life. I’m choosing to surrender my sin, my guilt, and my shame to Him. I’m choosing to give up all that I can’t control to the one who created the universe. I am choosing life, and I will keep choosing it everyday I’m allowed to walk on this planet. This is only the beginning of my story of redemption. And he that sat upon the throne said, Behold, I make all things new. And he said unto me, Write: for these words are true and faithful (Revelation 21:5 KJV). Emily, I’ve begun praying for your dad. I am very sorry to hear about what you went through when you were younger. I’ve never been through that but I did have a different situation that I went through when I was younger and God worked in that situation and did some pretty big miracles that could not have happened otherwise. I believe that God’s working on your dad because I saw the power of prayer in my own life and I believe that He’ll work in your family too. Thank you! I actually have seen some breakthroughs recently, so keep on praying. Nothing is too big for our God!